Discover why Bath in England ranked #49 in our countdown of ‘100 Most Incredible Cities in the World’. Romans, the water, and Jane Austen. 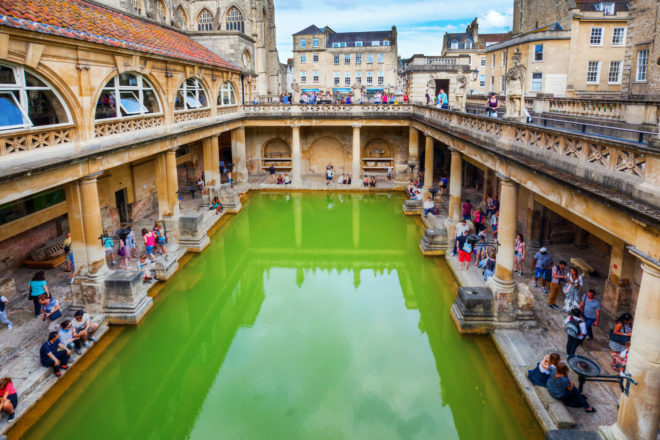 Bath is such a delightful little city steeped in history – oh the wonder of the Roman Baths and the elegant charm of the Georgian architecture – and sheer Englishness. Up until recently the bulk of accommodation was of the B&B persuasion (doilies and fat cats and shared bathrooms and all), but now The Gainsborough Bath Spa has arrived: built within two listed buildings with direct access to the mineral rich waters the city has been celebrated for for Millennia. And not a doily in sight (if you miss them take tea at Bea’s Vintage Tea Rooms).